HQ Premier Hair is the most natural, non-surgical hair replacement system anywhere. It’s lightweight, breathable, transparent, design gives clients the ability to live their life with the hair they’ve always wanted. Completely customized to your own exact specifications HQ Premier hair integrates perfectly into your everyday life. Utilizing 100% natural human hair, HQ Premier Hair it is completely undetectable with a totally natural look and feel, even close up. It represents the very latest in non-surgical hair restoration technology. Our professionally trained stylists will work with you to give you that perfect, natural looking style and look you’ve always wanted (or wanted back). 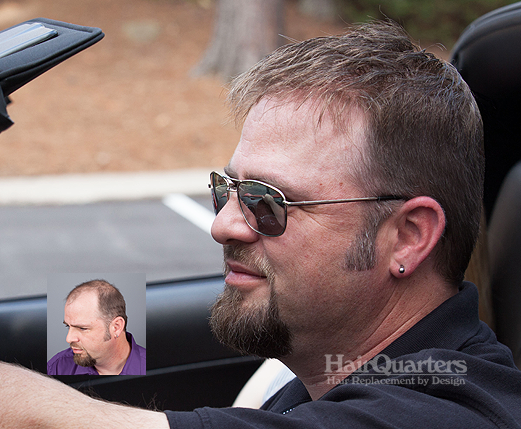 We invite you to book your own free, confidential hair loss consultation at HairQuarters Hair Replacement Center in Surfside Beach, South Carolina to see if HQ Premier Hair Hair Replacement System is right for you. 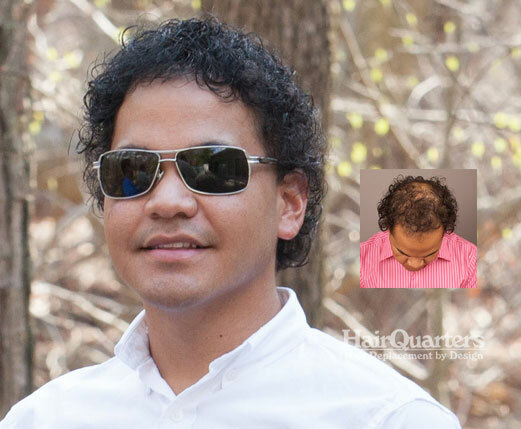 At HairQuarters Hair Replacement Center in Surfside Beach, South Carolina, we place the highest priority on quality and service. We extend every courtesy and accommodation to our clients to ensure a pleasant experience. With convenient off-street parking, HairQuarters offices are specifically designed for your comfort and privacy. HQ Premier Hair Hair Replacement System is a choice that “splits the difference” between hair transplant surgery and conventional hair replacement. This System is the non-invasive hair graft; surgery is not required to fulfill its hair replenishing properties. At HairQuarters Hair Replacement Center in Surfside Beach, South Carolina, the HQ Premier Hair Hair Replacement System procedure has been combined successfully with surgical hair restoration procedures and used to provide additional hair to those who’ve already had hair transplant surgery but desire an increase greater overall hair density. The results of the HQ Premier Hair System are guaranteed – there is no waiting period to see if it will actually work. Who is the HQ Premier Hair Hair Replacement System For? The HQ Premier Hair Hair Replacement System is for anyone interested in a solution that will result in a cosmetically significant increase in hair density. HQ Premier Hair’s capability is to replace hair in any area of the scalp, and recreate a natural frontal hairline, makes it ideal for sufferers of male pattern baldness, and alopecia, as well as chemotherapy patients, and burn and scar victims. Unlike surgical techniques, the HQ Premier Hair System requires no “donor” area, nor is its success dependent upon the texture and curl pattern of donor hair. With the HQ Premier Hair System, there’s nothing discernible between your new hair and your scalp. So you can see and feel your scalp, and run your fingers through your hair and feel nothing but natural hair and scalp. Take the first step to a new you. Schedule your free, confidential hair restoration evaluation today. Our image consultants are also clients so they have truly “been there” themselves. To learn about the solutions available to you, call us today at (843) 238-1089 to request more information or book your free, confidential hair loss consultation online today. HairQuarters Hair Loss Restoration and Replacement Myrtle Beach SC has been in business for over 30 Years.  The latest, most natural hair loss solutions, hair replacements, hair restoration, wigs are available at our convenient Surfside Beach, South Carolina location.